For many years, Swissair, Switzerland’s former national airline, was an icon of luxurious, international air travel. Loved by passengers from all over the world and recommended by travel agencies for its outstanding service, Swissair was an object of national pride. Yet the company came to a sad ending after the disaster of flight SR111 off Canada’s Atlantic coast in 1998, followed by the grounding of the entire fleet due to cash flow problems in 2001. What remains of Swissair, besides the countless memories of its employees and passengers, is the vast photographic archive of the company, now held at ETH-Bibliothek in Zurich. This beautifully illustrated book collects 270 of the archive’s best images, arranged by formal and thematic aspects, and supplemented with an informative introductory essay and concise captions. Photographs document every aspect of flight, from the lives of pilots, flight attendants, and other staffers, to airfields both in Switzerland and abroad. The images cover subjects as disparate as the stunning stills of aircrafts in operation and carefully styled photographs of in-flight meals. 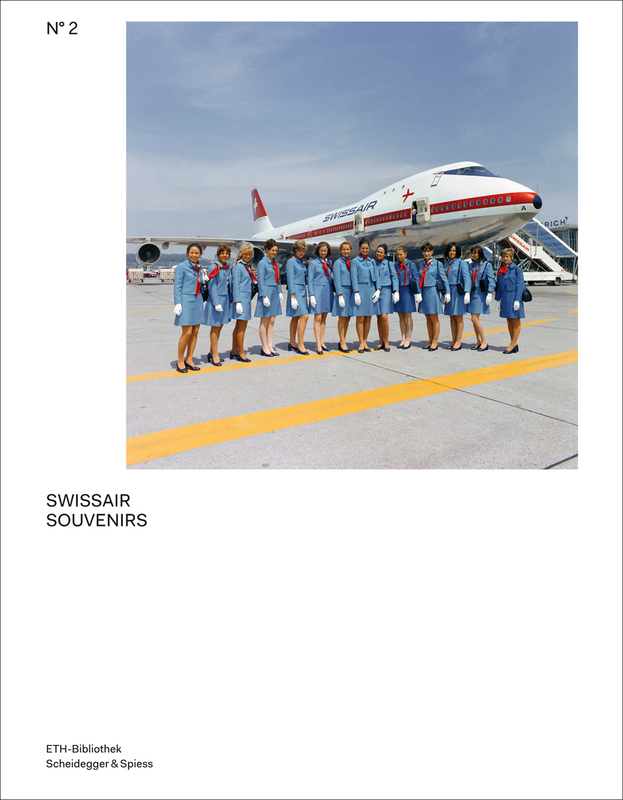 A wonderful book for airplane enthusiasts and design lovers, Swissair Souvenirs is both nostalgic overview of a bygone era of air travel and a unique lens through which to view the history of photography.